12 April - 28 September. The northernmost corner of Sjælland is packed with interest, based not only on fascinating periods of Denmark’s history but also its attractive scenery. 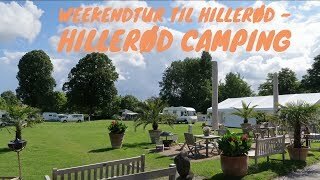 Hillerød is also a fine base for visiting Copenhagen and is only 25 km. from the ferries at Helsingør and the crossing to Sweden. 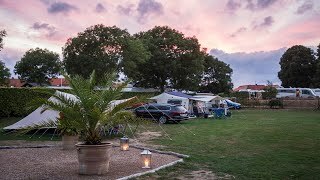 Centrally situated, the town is a hub of main roads from all directions, with this neat campsite clearly signed. It has a park-like setting in a residential area with five acres of well kept grass, colourful flowers and some attractive trees. 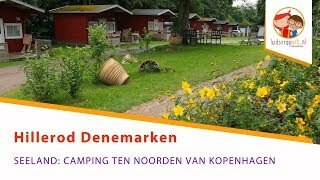 There are 107 pitches for tourers, of which 90 have electricity (13A) and these are marked. You are assured of a warm welcome here by enthusiastic couple, Annette and Taco. The site amenities are all centrally located in modern, well maintained buildings which are kept very clean. The centre of Hillerød, like so many Danish towns, has been pedestrianised making shopping and outdoor refreshment a pleasure. 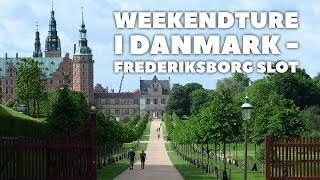 Visit Frederiksborg Slot, a fine Renaissance Castle and home of the Museum of Danish national history. The smart, new toilet block behind reception includes washbasins in cabins, free hot showers, facilities for disabled visitors and a baby room. Campers’ kitchen adjoins the club room and includes free electric hot plates and coffee making machine. Laundry room (free iron). Motorhome services. Small shop. Comfortable club room with TV. Play area. Bicycle hire. WiFi over site (charged). Follow road no. 6 bypassing road to south until sign for Hillerød S. Turn towards town at sign for ‘Centrum’ on Roskildvej road no. 233 and site is signed to the right.